What you need for a bug out bag depends on your own situation. You might live surrounded by mosquitoes, dangerous wild animals or freezing temperatures. These different situations will require different equipment. You could easily get yourself a professional kit with most of the essentials provided to you. These professional kits will typically have a few days worth of food, an emergency water filter, a knife and other equipment. 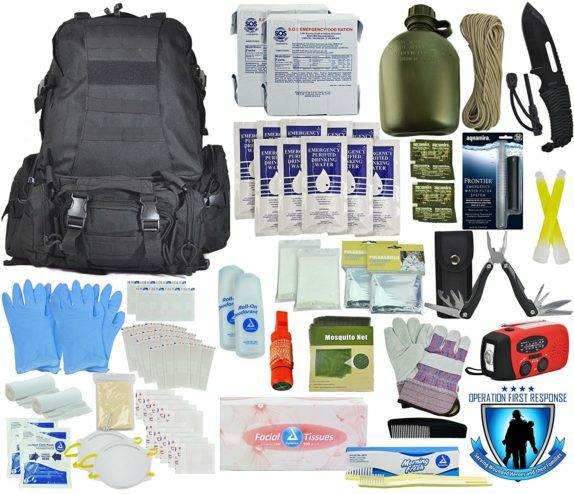 Here’s one bug out survival bag that has a long list of different equipment as you can see in the image above. We don’t have to rely on a pre-packaged survival bag, if we keep the equipment ready ourselves. Of course, what’s useful depends on how you plan to head out when an emergency occurs. If you’re heading out with your car or with a boat, you can easily just bring your bucket with you. If you wish to prepare for heading out on foot, you will probably want a backpack as part of your preparation kit, as carrying a bucket around will be uncomfortable on long journeys. 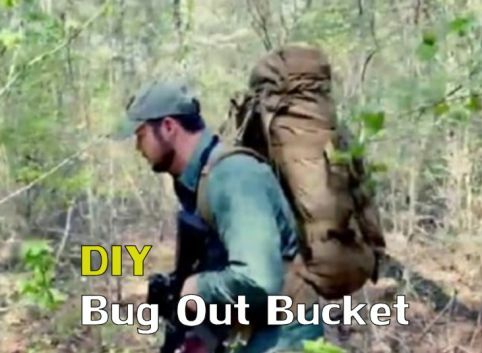 Because you might wish to use your backpack for regular day to day purposes too, so you could store the essentials of your bug out kit in a bucket. –Backpack: The backpack is a very important part, as this is what makes it easy to transport your supplies. It’s possible to get a backpack that you can easily fit a five gallon bucket into. – Food: You can get a 7 day supply of protein that fits in a simple vitamin bottle here. – Water: Bring at least two liter, as this is how much your body requires per day. – Waterfilter: Definitely look into getting a LifeStraw, as these allow you to drink water from any stream, while filtering bacteria and everything else you don’t want to expose your body to. 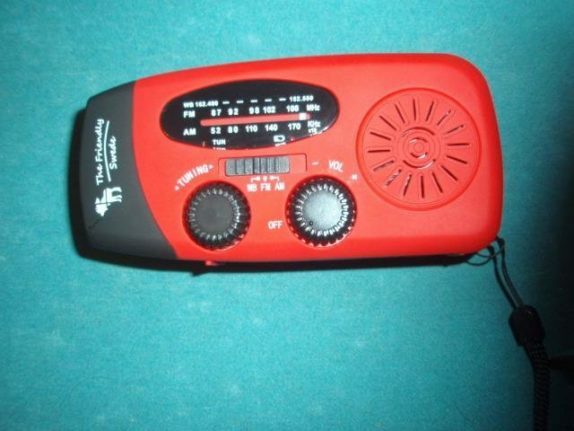 – Radio/Flashlight/Smartphone charger. Everyone who has made long journeys by himself knows you want to carry as little weight with you as possible. For this reason, my recommendation goes out to this hand crank device, that generates light, allows you to charge your smartphone and has an inbuilt radio. – Map and compass: Remember, without electricity, a smartphone can’t solve every problem for you. – Whistle: Useful to communicate over long distances when electrical devices don’t work. – Smartphone: Only useful for as long as the battery lasts. – Candles: Generate heat and light, but most importantly, allow you to keep a fire going for a long time. – Firearm: Useful for more reasons than you might think. A firearm can help you reveal your location to rescue workers, chase away dangerous animals and allows you to hunt. – Duct tape: Very useful if your tent breaks down for example. – Mosquito repellent: Depending on where you live, this could save your life. If you expect to take young children with you, it can be very useful to get them a mosquito repelling bracelet. Why would you need a bug out bag? The idea behind a bug out bag is that it prepares you in case something happens that requires you to leave your home. It’s also possible that an emergency happens that you plan to sit out inside your own house. For those cases, we recommend you check out our emergency bucket page. There are many reasons you could need a bug out bag. In most emergency situations you may choose to simply step into your car and head out to a big city. That’s not always an option however. Roads tend to be located near low lying areas. If a tsunami is headed in your direction, a dam is about to break, or an earthquake has caused a bridge to collapse, your car isn’t always going to do you much good, you may have to head for the hills instead. In many densely populated places, an emergency situation could easily lead to a massive traffic jam, as everyone tries to leave at the same time, or smoke from wildfires makes it hard to look around you. If you find yourself stuck in such a traffic jam, you don’t want to be a prisoner of your car, you want to be able to get out of there. During the forest fire in Fort McMurray back in 2016, many people had to leave their cars behind to flee. A bug out bag can thus give you a sense of independence and security in emergency cases that a car can’t always give you. It’s a great way to prepare for dangerous situations and many of the tools you store in your bag can be used for regular day to day purposes as well. Another useful item for a bugout bucket is a solar small battery charger. I have several I bought online inexpensively, and they work well.